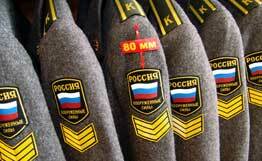 Russian Armed Forces. Left sleeve patch. With Russian flag.